The piano is one of the most popular musical instruments ever invented and over the years, its design and features have developed from the grand piano to lighter and more innovative alternatives such as the digital piano. With its main features the same with the traditional piano, this type offers versatility and variation in sound. 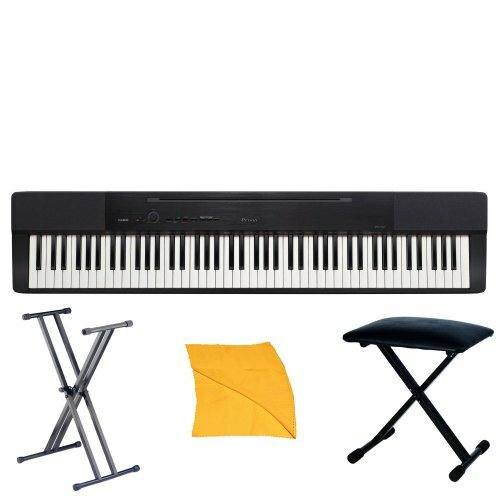 In terms of affordability and portability, this brand and model can be considered the best digital piano within its price range. 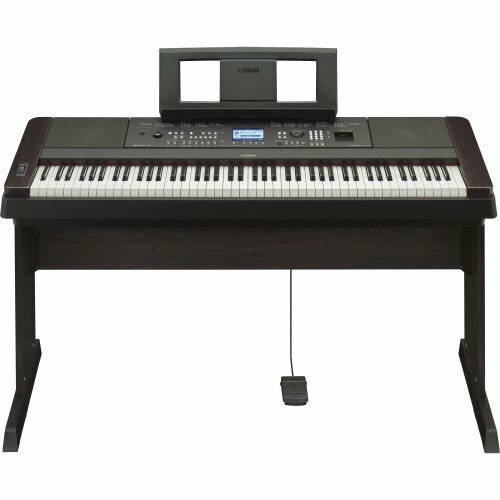 This piano boasts of excellent features that include a new sound engine that is three times more memory than its predecessor. It also comes with a furniture stand that looks very sturdy. The ebony and ivory keys are textured and nice to touch. It can mimic the sound of a classical piano and also has USB connectivity that allows connectivity to laptops and computers. Weighing only 20 pounds, this affordable and versatile Casio PX150 is only less than $600. PureCF-sampled piano: Sampled from Yamaha's acclaimed CFIIIS concert grand, no other digital piano brand at this price delivers recordings from such a high-end instrument. AUX line input: Connect any device with a line output like mobile devices, computers, mixers or even another keyboard and hear it through the internal speakers. 128-note polyphony: Provides enough horsepower for a dropout-free performance while layering two Voices and playing two-handed, sustained chords. 88-note, weighted GHS action: Heavier touch in the low end and lighter in the highs, just like an acoustic piano. "You Are The Artist" Series: Professionally-arranged, play-along songs matched with song books from Hal Leonard. Learn to play songs by artists like Elton John, Taylor Swift, Adele and more. 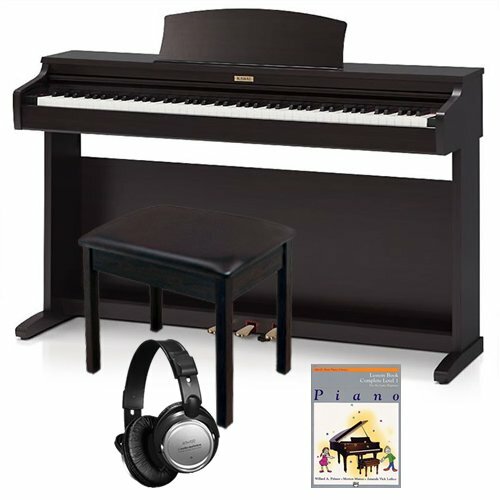 This digital piano from Yamaha is perfect for beginners and professionals who want to invest in a piano with interactive features, including an acoustic piano touch that comes from the Graded Hammer Standard action and Pure CF sampling with recordings of a Yamaha grand piano. Other features of this model include an AUX line input for connection to computers, mixers, mobile devices and even another keyboard. It also boasts of 128-note polyphony, weighted action and the “You Are the Artist” series which composed of songs arranged professionally for beginners. This perfect alternative to a real piano is less than $800. According to experts, the best digital piano is one that can be enjoyed by a musician since the beginning of the musical journey up to the end. Its features include a 2-track, 3-song recorder, a dynamic stereo sampling AWM piano with 128-note polyphony, USB connectivity and LED display, among others. Unlike other digital pianos, the Yamaha Arius offers realistic pedal performance that includes half-damper control with three pedals. What makes this model capable of giving out the sound it makes is because of the addition of 16cm internal speakers that are perfect if paired with 20-watt amplifiers. While this is not as portable as other digital pianos, the body comes with a traditional piano with a bench to make it blend with any interior design. This excellent performing piano comes in around $1,800. This upright digital piano boasts of Harmonic Imaging Sound Technology that sets high standards for its performance and price. 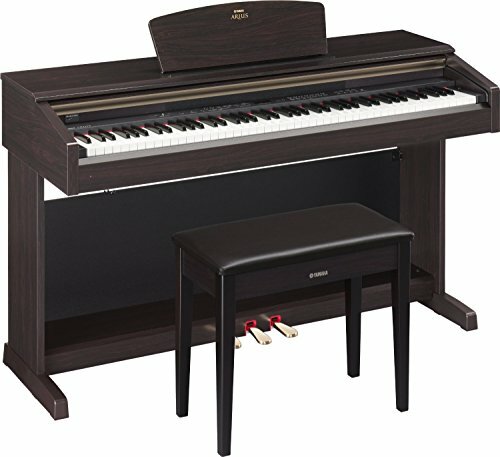 Coming in around $1,100, this budget-friendly model includes an 88-key Piano sampling AHAIV-F Graded Hammer Action 15. It also has Dual and Four-hand modes as well as 192-Note polyphony. Kawai is known for its line of digital pianos and know to manufacture authentic and innovative models. The keys are protected with a sliding key cover and a new Grand Feel Pedal System was integrated with the design and equipped to reproduce individual weighting of the damper, una corda and sostenuto pedals. Now that you have a list to choose from, picking the best digital piano that meets your standards is easier.